When an employee clocks in and out for their shifts on the mobile app, their clock times are recorded in the Time and Attendance feature. You will be able to find this in your left hand sidebar. The page will list the shifts your employees are scheduled to work along with the actual time that they have clocked in and out, it will also flag the status of the shift and whether the employee was late, missing etc. 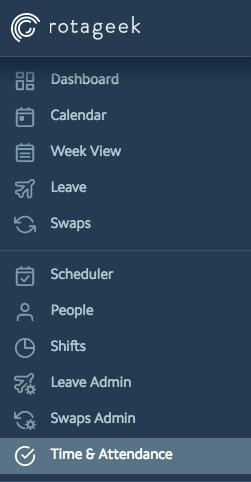 If an employee forgot to clock in or out/the clock time is incorrect then you are able to edit this here by clicking the Edit button next to the entry. Locations can be Geofenced so that employee's can only check in within a set radius of their place of work. 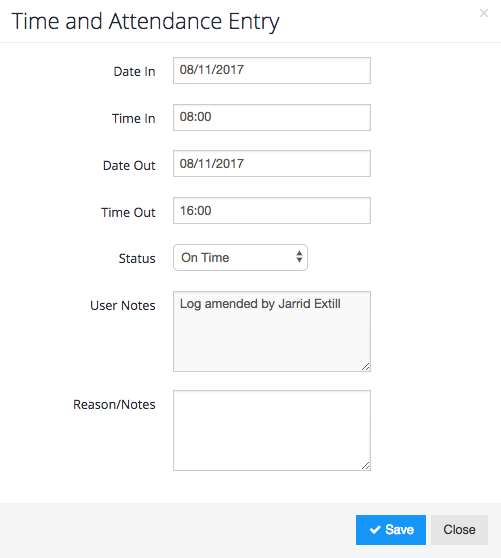 Once you have amended the time the system will add a default note of the user that edited this entry so you will always know who made the change, you can also add additional notes in the Reason/Notes box. This will update the record and the times that will be pulled by the Timesheet.